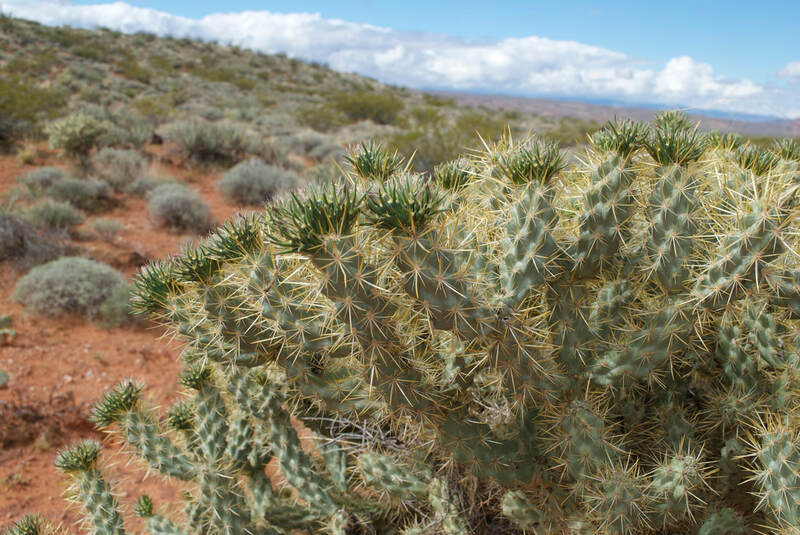 The subfamily Opuntioideae is one of the most intriguing groups of Cactaceae from a biogeographic and morphological perspective. 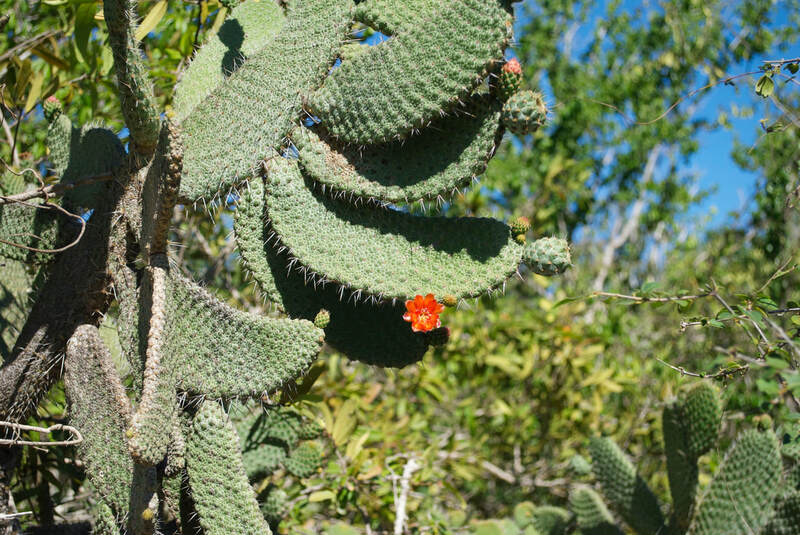 This group, which is widespread throughout the Americas, is economically important and also taxonomically very difficult, including members, such as the prickly pear cacti. Majure has been focusing on this group for more than 10 years now, and along with collaborators, has discovered some very interesting clues about the geographic origin of the group, as well as how the group became adapted to desert ecosystems from more tropical environments. We incorporate cytological, phylogenetic/genomic and morphological approaches in the lab to determine species limits, their evolutionary and biogeographic history, as well as morphological evolution of key characters necessary for their survival in dry environments. Subfamily Opuntioideae is comprised of three major clades, Cylindropuntieae, Opuntieae and Tephrocacteae. Polyploidy and hybridization are very common in both Cylindropuntieae and Opuntieae, however, we still lack sufficient data in South American Tephrocacteae, a group that we have only begun to study with our South American colleagues. Lately, our development of plastome datasets has greatly increased our ability to resolve difficult nodes in this group... more to come soon. 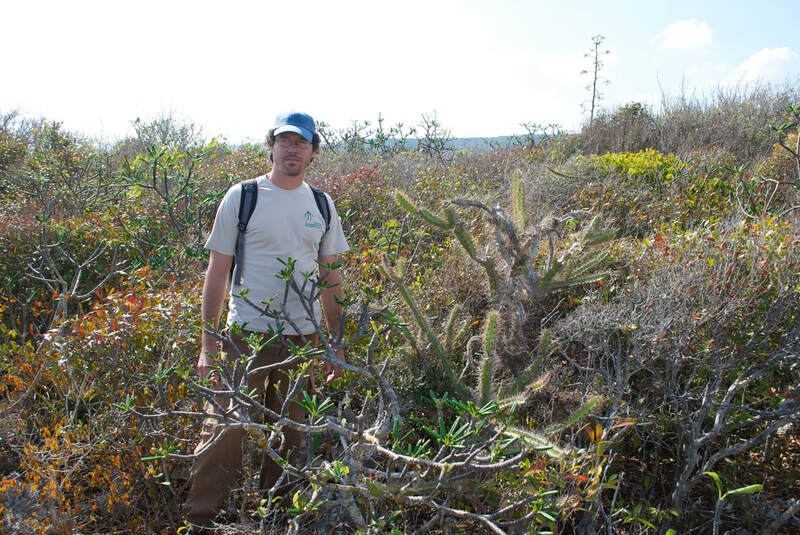 Cactaceae of the Greater Antilles are a fascinating assemblage of taxa that are derived from at least 11 major clades of Cactaceae. 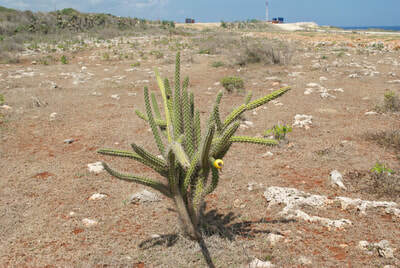 We are making concerted efforts to understand the diversity of cacti in these areas, especially in Cuba and Hispaniola, where we have ongoing projects aimed 1) filling in our knowledge gaps of distribution of each species, 2) determining how those species fit into the larger phylogenetic context, 3) determining aspects of basic biology, such as pollination syndromes and chromosome number, 4) understanding the underlying biogeographic history of all major clades represented there, and 5) producing treatments of Cactaceae for the islands.